Dandy Nails Come Out and Play - Polish Etc. I am so obsessed with this polish! 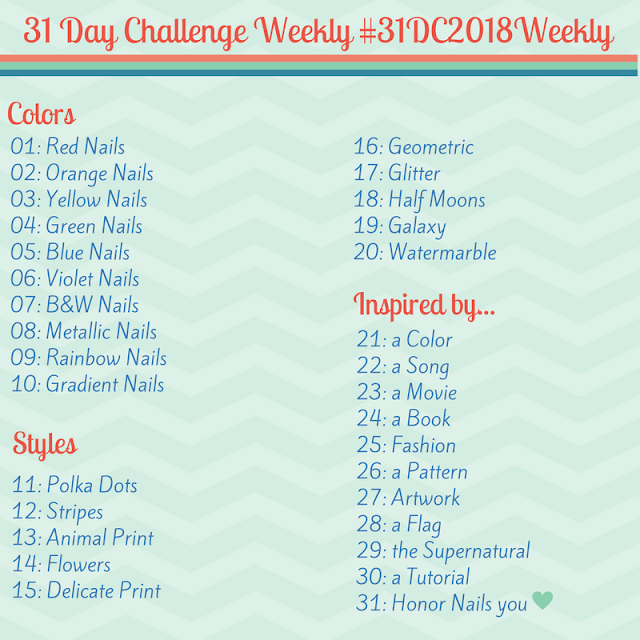 If you follow a lot of nail blogs, you've probably seen Dandy Nails Come Out and Play before. Come out and Play is one of the most unique and pretty polishes that I've seen in a long time. It is a violet purple base with white matte glitter. The effect is purple polka-dots. I love it more than I can express. I wore this polish for 4 days! (I usually only wear polishes for a day, maybe two if I'm really busy. These swatches are two coats plus base and top coat, and were taken on day three! Day 1 and 2 were too cloudy for photos, but I'm amazed it held up so well. It dries a tiny tiny bit bumpy but soothes out with a normal top coat. 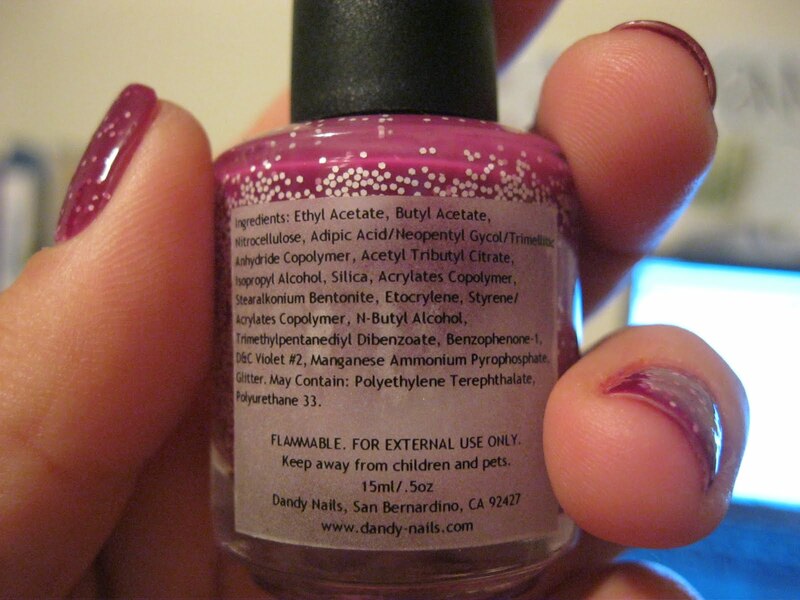 One thing I love about Dandy Nails is that the ingredient list is on the back of the bottle, it makes the brand very professional and shows that they are truly 3-free. Dandy Nails polishes are available on Etsy HERE. They are currently sold out but should be re-stocked shortly. Sandy's polishes are becoming popular very quickly, and Come Out and Play is a must-have, I got so many compliments.